According to the book's introduction, the purpose of publishing Rescue Mission was to condense the massive United Nations plan for the 21st century, "Agenda 21", "into a language that ordinary people can understand." (pg 7) A critical thinker, at this point, may ask, why was not the original plan written in a language that ordinary people can understand? I have took the time to read, and analyze, the original plan, Agenda 21, and my guess as to why it was not written in a language that ordinary people can understand is, the average person may more easily come to the same conclusion that I came to, that Agenda 21 is a plan, by the United Nations, to gain more decision making power, or sovereignty, from countries, and create a world in which every resource, water, animals, food, etc., even human resources, and population size, is tracked, collectivized, and controlled by a group of non-elected bureaucrats at the UN, working in conjunction with big corporations, and non-governmental organizations (NGO's). 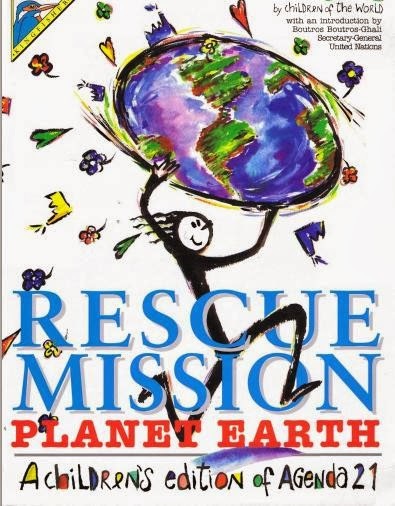 Interesting to note, also in the introduction of Rescue Mission, there is an opening quote by the former General Secretary of the Communist Party of the Soviet Union, and former leader of the Soviet Union, Mikhail Gorbachev, about needing to "save the planet from destruction." The fact that Gorbachev is a communist, and openly being promoted in UN literature, should not come as a surprise, as the United Nations is an organization with a collectivist philosophy, as well as having many specific connections to Communism. In an effort not to stray away from this specific critique of Rescue Mission, I will not detail the history of the United Nations, and their connection with communists/collectivism, in this examination, but intend to do so in the future. Humans are bad for, and ruining, the Earth. There is an urgent need to reduce population, including through abortions. A lowering of the standard of living is required for inhabitants of first world countries. A world government is needed to fix the problems of the globe. The main premise of Agenda 21 seems to be that humans are destroying the Earth, and they must be stopped! The United Nations perceives global warming as a major threat to the world, and even though they admit, "We're not exactly sure what is happening" (pg, 12), and "the threat of global warming is under debate", (Children's Activity Booklet) that doesn't stop them from providing solutions to fix the problem. The UN believes the high-standard of living in first world countries (high meat intake, air conditioning, personal vehicles, etc.) is destroying the planet, and to save the Earth, a reduction in the standard of living of those living in the first world must occur. It appears that by convincing people, and especially children, that humans are bad for, and destroying, the planet, people will be less resistant to the reduction in their standard of living that will be occurring. The anti-human propaganda is present throughout Rescue Mission. For example, it is estimated that there are 30 million different species of life on this planet, and according to Rescue Mission, "one species seems intent on wiping out the other 29,999,999." (pg 28) That species is, of course, humans. Children's poems are also used to help convey the message that humans are bringing death to the planet. There is one poem called "Mother Nature" (pg. 28), which personifies nature, and includes the line that "man, in complete disregard of truth, has chosen to destroy all my children." Even more gloomy than that is a poem titled "Death", which discusses the effects of gases on the planet, and ends with the lines, "Invisible Death, Invisible Death, DEATH....." (pg. 11) The frequent use of children's poems and drawings will be discussed later in this analysis. When discussing the atmosphere, Rescue Mission says, "Human beings have pushed it to a point where its not able to repair its wounds. It is massively traumatized by the greenhouse gases; it is pierced by chloro-fluorocarbons from our fridges and fire extinguishers; it is acidified by sulphur and nitrogen oxides from our cars and factories." The page concludes with the assertion that "ALL CFC-use must be stopped immediately!" Therefore, this village in India (which I can not find any information on), has took productive steps to combat deforestation, without using government laws and regulations, the opposite of what Agenda 21 looks to do. The idea that the world is overpopulated, and something must be done about it, is a concept that the United Nations constantly propagates. In the official Agenda 21 document, it is suggested that the Earth has a certain limit to the number of people that can live on this planet, or a "carrying capacity". It is also strongly suggested that the large number of humans currently living on the Earth, are destroying the planet, and recommends vague solutions to fix this problem. In my original analysis of the official Agenda 21 document, I took note of the peculiar grammar used, in terms of over-population, and the UN's apparent solution of abortion. I say 'apparent solution' because the term "abortion", for reasons I did not understand at the time, is never used, though it is obviously suggested. After reading Rescue Mission, the reason for this omission becomes clear. Using this passage, it is obvious to deduce that the United Nations, according to Ramphal, wanted to include more about abortion, in terms of population reduction, in Agenda 21, but was unable to, due to resistance from certain lobby groups. To convey the myth of overpopulation, statistics are used in a blatant propagandist fashion. Page 32 of Rescue Mission opens with the statement: "Did you know that within the time it takes to draw one breath, 500 kids are born." This figure sounds dramatic, if you leave out the valuable piece of information that puts it into perspective, which is the amount of people that die in the time it takes you to draw one breath. This opening statement of Page 32 concludes with: "We're finding it quite a challenge to feed, house, and clothe 5 billion...". I find the term "we" in this sentence to be quite odd. It is not clear who the author of this opening statement is, but whoever it is, apparently, feels as if they are the ones responsible for feeding, providing housing, and clothing for, the whole world. This implied sense of authority is one of the most dangerous aspects, in my opinion, of the United Nations, and of all collectivist organizations. "...Careful! This is more than just distributing contraception. It's about the whole economic and social situation. The smallest families happen in the most secure societies, where there is peace, economic and political security and education systems." An observant reader of this quote may take note that the goal of the United Nations seems not to want to create a free world, where individual liberty is treasured, but a "secure society", where there can be "peace" through "political security". Sacrificing liberty for security is an unwise proposition. Security is not always a good thing. Maximum security can mean a prison cell. It is important to understand what is meant when the United Nations says they want to create a secure and peaceful society, through "political security". Political security means no major, unplanned, changes to a political system. The only way to ensure political security, is to remove your democratic form of government, where politicians have to at least pretend they are listening to everyone's different opinions, and replace it with an authoritative form of government, where a group of non-elected leaders carry out a previously-conceived plan, that was formed non-democratically, without the interruption of opinions from everyday people, much like the United Nations operates today. In the original Agenda 21 document, this same concept is propagated, but using different dubious language. For example, the stated overall objective of Agenda 21 is to "restructure the decision-making process". Not everyone will agree, of course, with the restructuring of the decision making process, therefore the planners need to "overcome confrontation", to ensure political "solidarity". To learn more about the apparent contempt that the authors of Agenda 21 have for local, elected government, read my original analysis of the document. Agenda 21 was drafted in the years between 1990-1993, when agents of various governments, and NGO's, met together in Brazil for the conference on Environment and Development. The Deputy Secretary-General of this conference was a man named Nitin Desai. Desai is quoted in Rescue Mission as saying that one of "the most important challenges", in his opinion, of the 21st century, as being "reducing population growth". God is confused, the storks are crashing into each other not knowing what to do with all these babies, while the world is on fire, everything is smokey, traffic is always backed up, and everything is too crowded. 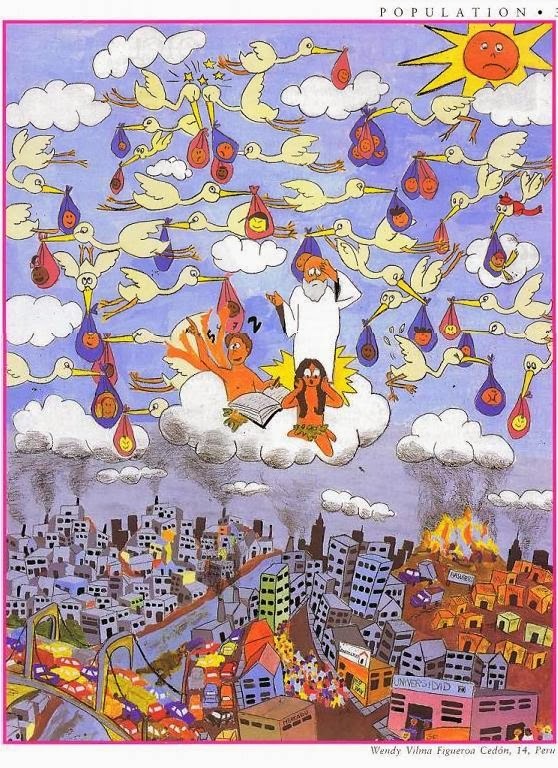 This is the view of the world that the United Nations is trying to convey to your child. An apparent solution to the worlds problems, provided to the readers of Rescue Mission, is a change in lifestyle by those living in developed countries. The reader must remember that while these solutions sound like recommendations, these lifestyle changes will actually be FORCED, through government licensing, fees, taxes, regulations, etc. The United Nations believes, according to Agenda 21, and paraphrased in Rescue Mission, that "all city people should be provided with 40 litres of safe drinking water daily." (pg. 27) This may sound like a noble goal, but when 40 liters is put into perspective with the average water use of people in developed nations, 40 liters would be a massive decrease. 40 liters is equal to about 10.5 gallons. According to a water use chart, that is provided in the Rescue Mission childrens activity booklet, it takes 6 gallons just to flush a standard toilet once, and every minute that you take a shower, takes 5 gallons. For someone who doesn't have access to any water, 40 liters is great, but if 40 liters was set to be a maximum standard, or set to be a standard of any kind, it would not be a laudable achievement. Private car use is a big enemy of the United Nations, and in Hertfordshire, England, where the local government is implementing Agenda 21, Peter Jackson, an environmental officer of the town, says "we're looking at different ways to reduce private car use." Jackson also recommends for children to get their parents to "change their dangerous habits" of private vehicle use, by telling them to "use their cars less." (pg. 69) The children's worksheet that accompanies Rescue Mission says households should "have the children plan a strategy for reducing the family's gasoline use." The lack of logic used by the United Nations in their attempt to get children used to not driving cars seems intentional. Page 39 of Rescue Mission attempts to inform children of all of the wonderful benefits that come along with not driving a vehicle. If "you start walking or bicycling instead of using your car", the book continues, the results will be, "pollution emissions are cut down - good for the environment, your health improves and you save money on gas." While all of these results may be true, the benefits of owning a vehicle are not presented to give this argument balance. If walking, or bicycling, were really that great, people would already be doing it, instead of driving their cars. The reality is, without personal vehicles, your options for where you want to live, work, and receive entertainment, are severely limited. Everyone would have to live, work, and play, next to each other. When you live outside of a city, taking a bicycle, or walking, is almost never a possible replacement option for a vehicle, especially during the winter, in cold climates. This is why Agenda 21 looks "to bring about a demographic transition" by forcing people out of their rural homes, through taxes, fees, fines, and regulations, and moving them into cities. "You can't bring up a new generation of people telling them they can have everything we have and more. They can have more but we will have to measure its quality differently and measure poverty differently as well"
This quote is very telling. Kyte conspicuously shows how children will be tricked into falsely believing they have a better lifestyle than their parents had, by changing definitions, and measurements. For example, if poverty means a family of five, sleeping in a two bedroom home, then by changing the measurement, and definition, of poverty, to mean a family of six, sleeping in a two bedroom home, it would, statistically, lower the number of those in poverty. Of course, this would not have any real effect on society, but it would let people like Rachel Kyte pass off the changes in regulations that they supported, as effective, when they can present a bogus report of poverty being decreased. While the idea that the best things in life are free, and that money can't buy happiness, are worthy, and noble, concepts, it is much different when the message is coming from someone who wants to reduce your standard of living. It is like an older brother convincing his younger sibling not to eat the ice cream in the freezer, expressing all the negative health benefits that come along with eating ice cream, only so he can have the ice cream all to himself. One form of taxes that will be used against people in first world countries, to help bring about the changes envisioned in Agenda 21 are "green taxes". (Sidenote: The total cost of Agenda 21, which will seemingly be paid through things like "green taxes", is, according to Rescue Mission, $600 billion) (pg. 71) Since, according to the UN, it is the first world countries who are responsible for polluting the Earth, their residents will be taxed, to help pay for the mess they caused. It is referred to as the "Polluter Pays Principle", which is summed up in Rescue Mission to mean, "those who pollute should pay for the damage they cause to the environment through green taxes." "Workers should take part in all decisions, cooperating with both employers and governments"
This means that the government wants to be involved with every business decision made. Who would want to be a business owner if every employee they hire, has to be let in on every decision that is being made in the business, and have the government looking over his shoulder the whole time, making sure he/she is in compliance? For the United Nations to have the legitimacy, and the authority, of a world government, people must first be made to feel the need for a world government, and then willingly give up their sovereignty to this world government. Throughout Rescue Mission, subtle remarks, and suggestions, are made which indicate the necessity, and inevitability, of the manifestation of world government. Towards the end of the book, the push for world government becomes more straight-forward, as it is openly declared that "We need a new way of governing the whole planet. The problems we face are bigger than any single country." (pg. 81) Finally, a plan for a "Global Democracy of Children" is discussed, as well as an outline of how they intend on introducing and implementing this "Global Democracy". 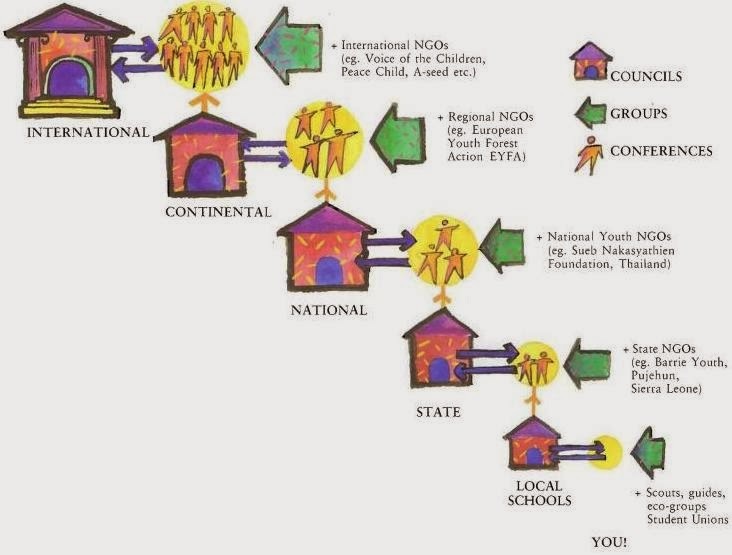 The graph used in the book (pg.84) (picture below), shows that the UN will start in local schools, and through a networks of NGO's, build a global government. One of the most alarming factors of Rescue Mission, in my opinion, is how the United Nations is essentially telling children that their parents are ignorant to what is going on in the world, how the children need to get angry, and challenge, and/or disregard, their parents beliefs, and actions. "Children can really help to educate their parents. They must tell them to use their cars less and compost and recycle more." (pg. 69). Rescue Mission has a whole section titled "Right To Be Heard" that is all about promoting the Convention on the Rights of the Child (CRC). (pg.82) In a previous analysis, I have found the CRC to be an attack on the rights of the family, under the guise of giving children "rights". Government will stick itself between you and your children, to make sure you are upholding your child's "rights". Under the CRC, children will be allowed to keep all of their communications, and associations, private, from their parents, and even receive abortions without the parents consent. One aspect of Agenda 21 that I have found curious is the emphasis that is given on making sure that women attain positions of power. When first reading the actual document, I found that nearly every section focuses on the role that woman need to play in the implementation of Agenda 21. I have yet to find a definitive explanation as to why that is, but peculiarly, in Rescue Mission, this concept is followed, and taken further, even suggesting that men are a problem in society. Rescue Mission summarizes the emphasis on the involvement of women in Agenda 21 to mean "have more women decision-makers, planners, scientists! Government should: Help set up child care so more women can go to work." (pg. 66) Therefore, instead of government providing a situation where a mother can stay at home and raise her children, the United Nations wants women working, paying taxes, while their children are in government care, receiving the UN propaganda. Dr. Nafis Sadik, former Executive of the United Nations Population Fund, is one person that emphasizes this concept of preferential placement of woman in positions of power. Dr. Sadik has worked for the government of Pakistan, in "family planning", and, according to Wikipedia, has "consistently called attention to the importance of addressing the needs of women, and of involving women directly in making and carrying out development policy. This is particularly important for population policies and programmes." Aside from the insidious remarks made towards men, the reader should take note at how the beauty of creating life is referred to as "the problem of giving birth" by Dr. Nafia Sadik. Also important to note, Dr. Sadik won the Margaret Sanger Award from the Planned Parenthood Federation of America in the year 2000. Readers should get familiar with who Margaret Sanger was, and the origins of Planned Parenthood, to fully understand the significance of these connections, but for the sake of staying on track with this analysis of Rescue Mission, an examination of Sanger and Planned Parenthood must be planned for another time. Tax exempt foundations, such as Non-Governmental Organizations (NGOs), and non-profit organizations, play a major role in the implementation of Agenda 21. NGOs put pressure on, as well as present incentives to, local, elected, legislators, to push specific laws, and programs. Throughout Agenda 21, and especially in Chapter 27, titled "Strengthening the Role of Non-Governmental Organizations", the goal of giving NGOs more power in our system of government is spoken of quite candidly. The same can be said for Rescue Mission. Rescue Mission says "freedom for NGOs to say things and promote ideas that governments and industry might not like must be guaranteed." (pg. 67) It is important to remember that in the American system of government it is supposed to be assumed that the government is created by the people, for the people, and consists of, the people, therefore an NGO that promotes ideas that government might not like, can really mean an idea that the people might not like, and don't support. The most prominent, active, and effective, of these organizations often can be traced directly, financially, to large corporations that profit directly, and indirectly, from the actions of these NGOs. One such organization that has been exposed, working in the state of Connecticut, pushing Agenda 21-influenced legislation, is the Robert Wood Johnson Foundation (RWJF). The RWJF was established with funding from Johnson & Johnson, the largest pharmaceutical company in the world. 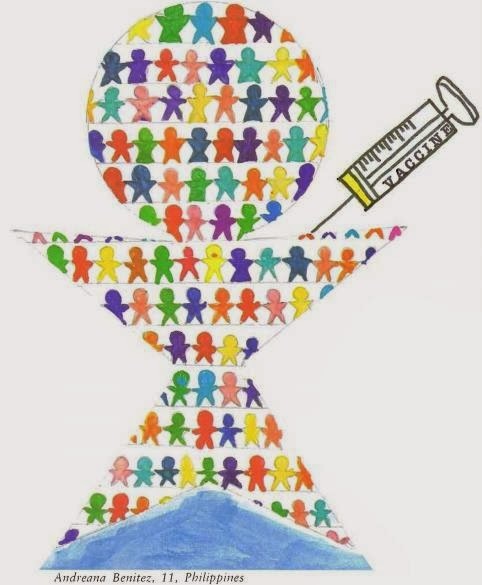 The RWJF sponsors organizations in the state of Connecticut, that are attempting to influence the passing of legislation that would increase the customer base of pharmaceutical companies, which would directly profit Johnson & Johnson. Therefore, the United Nations wants us to believe that the same governments that can't even come together and agree to stop killing each other, are going to faithfully execute a plan to save the planet from destruction. "Keep America Beautiful, Mill River Plaza, 9 West Broad Street, Stamford, CT 06092 "
I have not looked into this organization at all, though I do think it is important to mention it, just in case I come across it, as I do further research into Agenda 21 in Connecticut. Rescue Mission is just one small piece of the enormous Agenda 21 puzzle, which itself is just a small piece of something much bigger. By performing these detailed analyses, we are able to get a greater understanding, upon much reflection, of how world events are truly being driven. Be sure to read previous, and stay up to date with my future, writings, as I will continue attempting to document, and clarify, this Agenda 21 takeover.